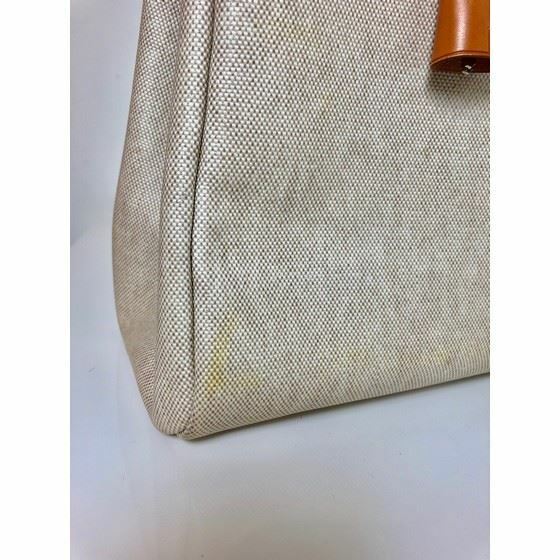 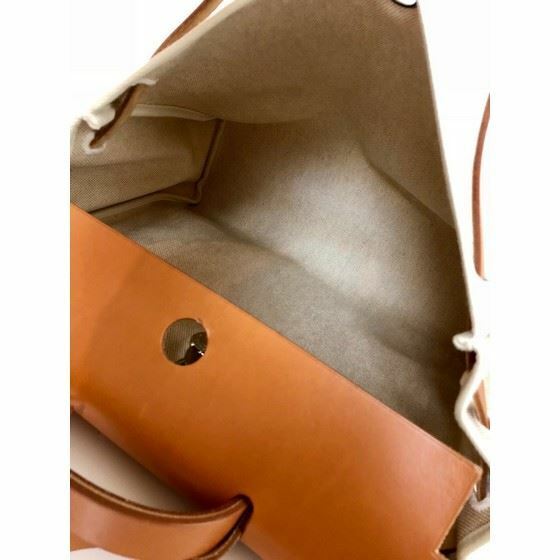 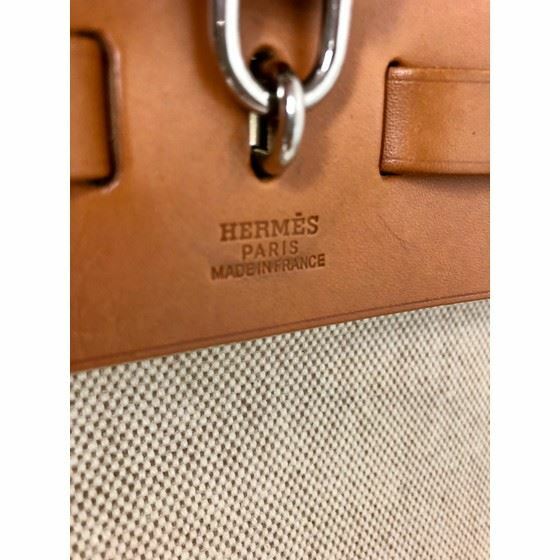 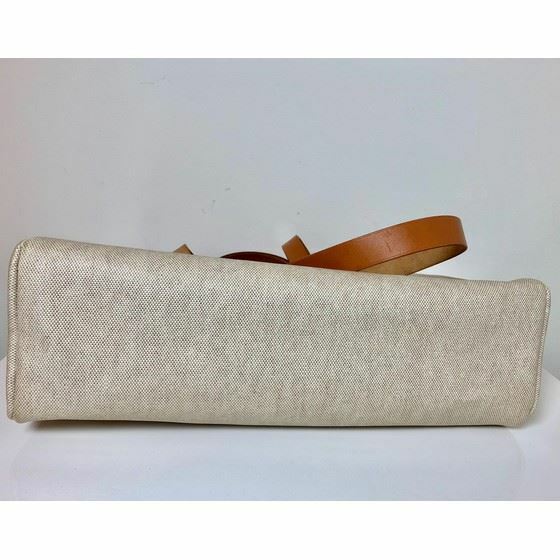 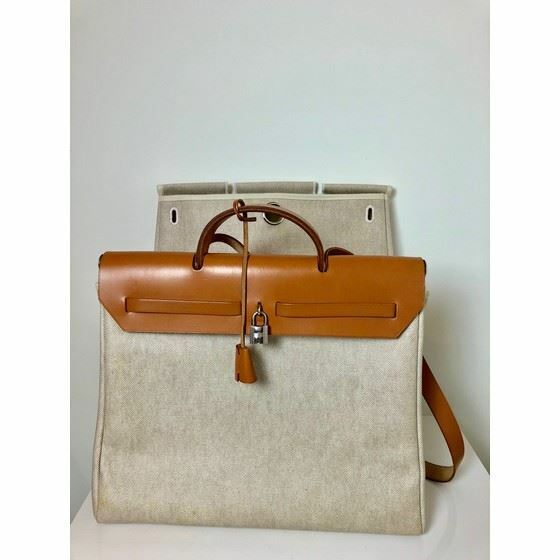 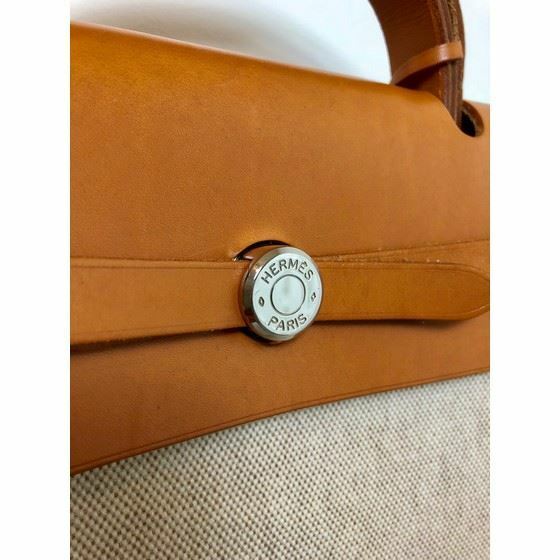 Authentic timeless musthave bag: HERMES Toile Herbag 39 MM 2 In 1 Bag brown and Beige. 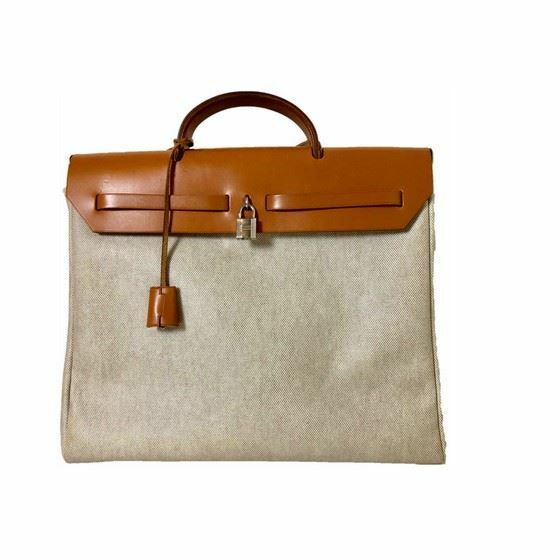 This Hermes set includes two stylishly classic shoulder bags in one. 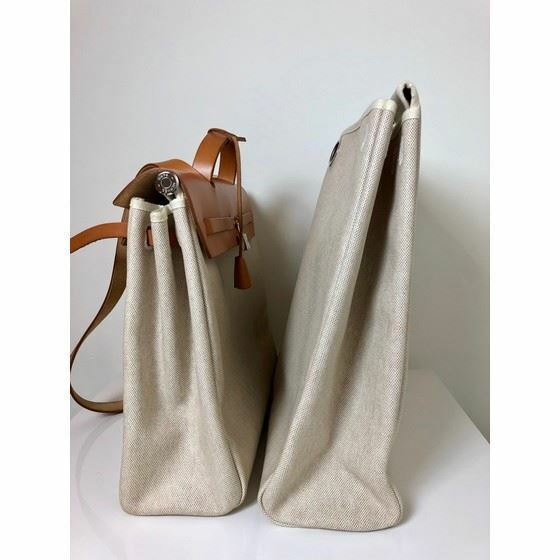 Both bags are canvas, in natural, and they have a single changeable top. 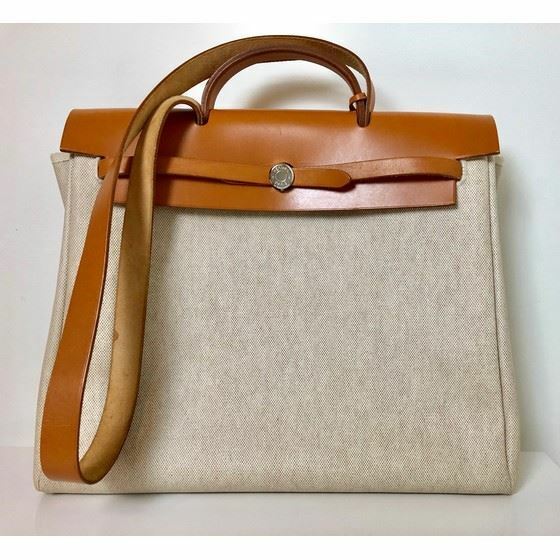 This top is made of natural leather and has a top leather handle as well as a removable shoulder strap (can be turned from shoulder bag into a handbag). 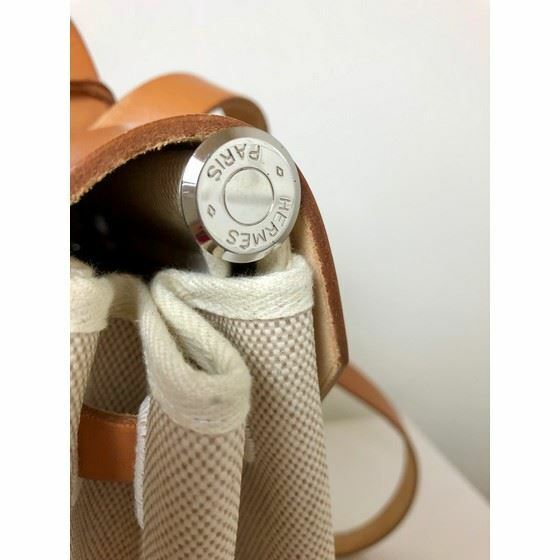 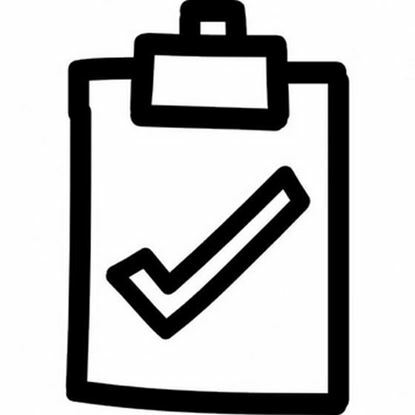 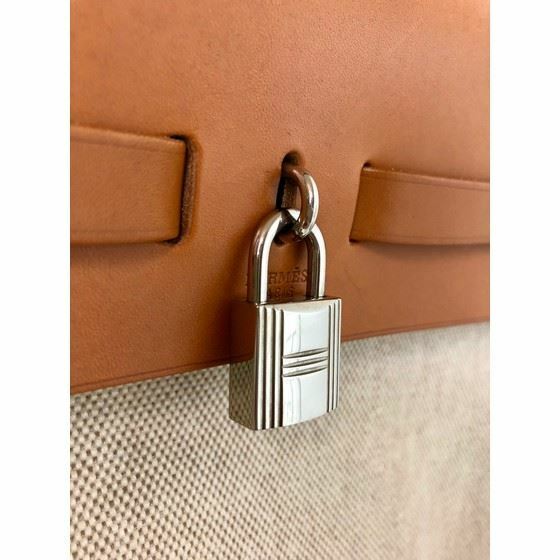 There is a palladium silver hardware frontal lock for the strap closures with a padlock. 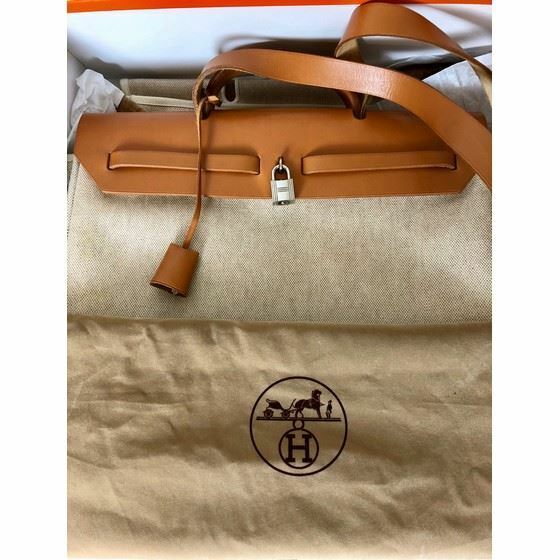 This is a fabulous set, either of which can be used as an ideal bag for everyday use, with a touch of classic sophistication, from Hermes! 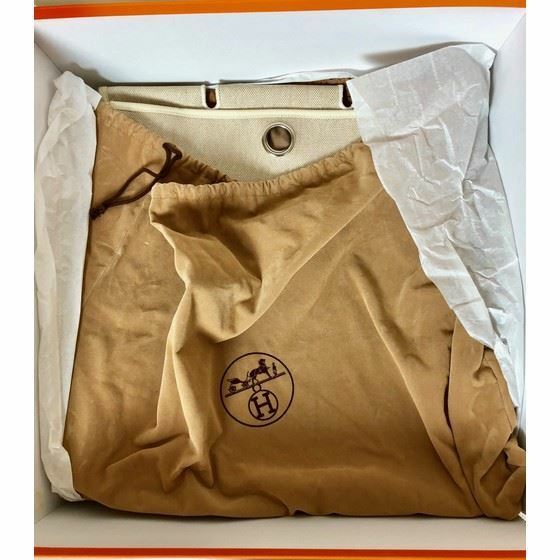 Comes with orginal brown dustbags and original orange box.